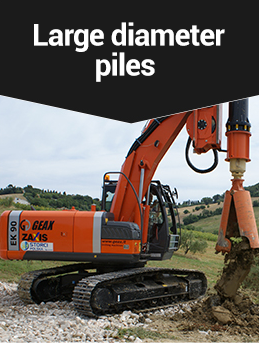 A complete range of rotary kelly piling machines for piles from 300 to 1800 mm in diameter and from 9.5 to 47m depth. 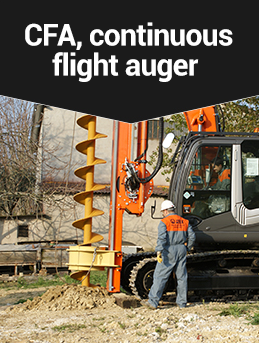 For CFA piles up to 900mm in diameter and 20m in depth. 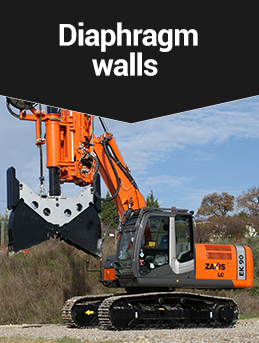 Diaphragm grab, from 300 to 600 mm thickness up to 16m deep. 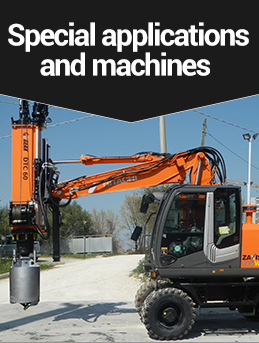 GEAX is able to develop machines and special applications on customer request.